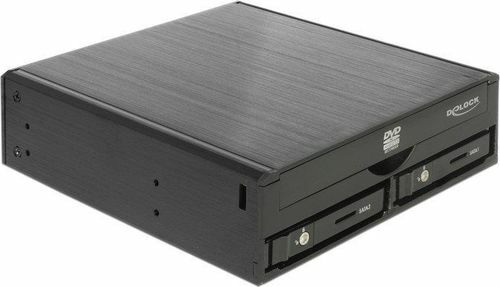 This mobile rack by Delock can be installed into a free 5.25″ bay of a PC. A slim drive and two 2.5″ SATA hard disks can be mounted to the frame. The hot swap function allows the exchange of the hard disk drive during operation.